Prime Minister Narendra Modi Inspired ‘Paras Fancy Bindi’ Goes Viral Ahead of Lok Sabha Elections, Have You Seen it Yet? Prime Minister Narendra Modi is once again taking the internet by storm but this time the reason will make you go ROFL. 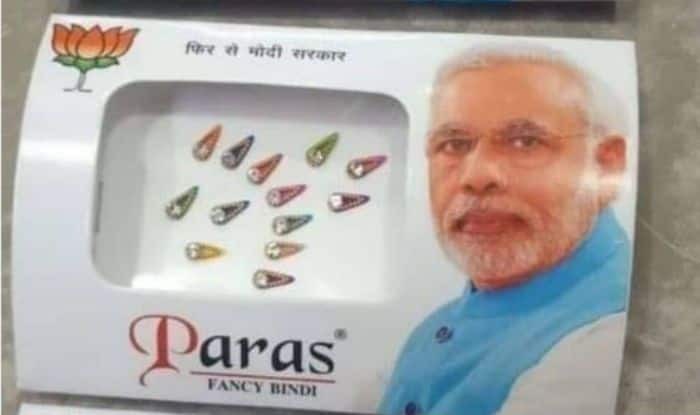 Recently, a bindi company called Paras Fancy Bindi has launched a new line of their products which is Narendra Modi inspired. Yes, you heard us right! The packet of bindi features the picture of Narendra Modi and the logo of Bhartitya Janata Party. Not only this, but the packet also has a caption which reads, “Phir Se Modi Sarkar”. This is not the first time that people have gone out of their way to promote Narendra Modi. Earlier, he featured on train tickets and boarding passes on flights. Not only this, but people are also showing their support for the Prime Minister with their wedding invitations. Recently, a couple from Hyderabad printed their wedding card with an appeal to the guests to vote for BJP in the upcoming Lok Sabha elections. Lok Sabha Elections 2019 will be held in seven phases, beginning April 11. Polling in Rae Bareli will be held in phase 5 on May 6 while Varanasi will go to polls on May 19 in the last phase. The counting of votes will be held on May 23.